The most versatile Musical Giant of the Last Century. Shankar Jaikishan are probably the most versatile music –duos that hailed the music of Bollywood during the Golden Age of Indian Cinema, the 40s, 50s and 60s.The golden era of Indian film music can be associated with the musical giants of different capabilities and specialisations.The Legends include Roshan- the king of melody, Madanmohan- the shahenzah of ghazals, Naushad- the Genius of Hindustani classical ragas with a blend of Lucknow Gharana, Salil Chowdhury –the Master of Westernised chorus with Eastern folk and poetic excellence, O. P. Nayyar – the Master of Westernised Tunes with Eastern flavour, Jaidev – the Legend of Urbanised Folk and Rural tunes, and many other Classical composers who have become immortal with their everlasting tunes. Shankar Jaikishan emerged in that arena with a range of tunes and compositions which could not be categorised under a single head. There were folk songs like “ chalat Musafir” sung by Manna dey in “Teesri Kasam”( 1966) to ghazals like “Chalke Teri Aankhose sharab aur ziada” sung by Mohammad Rafi in “Aarzoo”(1965). There were rock and roll compositions like “aajkal tere mere pyarke charche har jawanpar” in Brahmchari(1967) to pure classical composition like “Sur na saje kya gayun mai” in “Basant Bahar”(1957). They had composed music in almost 200 films in a tenure of around 22 years (1). So great was the impact of their creative genius that it had a lasting impact on the music of the Hindi films. 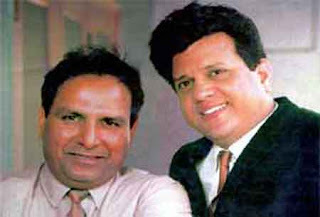 Shankar-Jaikishan understood the taste of the masses, were able to cater to them, as well as moulded their tastes. No wonder then that during their tenure as music directors, they were exceedingly popular and 75 per cent of the films for which their scores were everlasting hits - many have celebrated silver jubilees. They were probably the only musical pair, who have given music to all the leading giants who had glorified the silver screen during the 1940, 1950s, and 1960s.They have given music to Dilip Kumar in Yahudi,1958, Rajender Kumar in Suraj,1966, Bharat Bhushan in Basant Bahar,1957, Balraj Sahani in Seema,1956, Pradeep Kumar in Raat Aur Din,1966, Dev Anand in Asli Nakli,1961,Manoj Kumar in Hariyali Aur Raasta,1962, Shammi Kapoor in Professor,1962, Shashi Kapoor in Kanyadan,1969, Biswajeet in April Fool,1964, Joy Mukherjee in Love in Tokyo,1965, Dharmender in Pyar hi Pyar,1968, Jeetender in Mere Huzur,1967, RajKumar in Lal Patthar,1971. The team of Shankar Jaikishan consisted of Shankarsingh Raghuwanshi and Jaikishan Dayabhai Panchal. Shankar (October 15, 1922 - 1987) was born in Punjab and trained under the famous Husnlal Bhagatram. He later settled down in Hyderabad, Andhra Pradesh, India. Jaikishan (1929 - 1971) hails from Panchal, Gujarat, India. Before the duo met, Jaikishan worked as a carpenter. Their career started as music directors for Raj Kapoor's 1949 film Barsaat. Songs like "Jiya beqaraar hai" and "Barsaat mein humse mile tum" became a rage. Barsaat was also the starting point of the pair’s long and successful association with the R.K. Banner. Hit music in films like Aah and Awaara followed in the early 1950s. The song "Ghar aaya mera pardesi" went on to become a benchmark for dream-sequence songs. Their music for most R.K. films was considered a huge success, but two films stand out, Shree 420 and Sangam. The songs "Pyaar hua ikraar hua" and "Ramaiyyaa vasta vaiyya" from Shree 420 and "Dost dost na raha" and "Har dil jo pyaar karega" from Sangam were popular favorites (2). They were honored with the maximum number (nine) of Filmfare awards in the Indian film industry. In 1968, Shankar Jaikishan released an album, "Raga Jazz Style : Shankar Jaikishan with Rais Khan." Shankar Jaikishan made a great impact on film music from the start. Their tunes range from pure classical Indian themes to more westernised tunes.They had a distinct style, which was adaptable to different stars and films.In the West, they are best known for the song "Jaan Pechan Ho", which originally appeared in the 1965 film Gumnaam. The musical number was replayed in the American film Ghost World and helped to catapult the popularity of Indian film music in America. However, according to Raj Kapoor, the pair's most notable score came in the film "Mera Naam Joker" in 1970 which has landmark songs like "Jaane kahan gaye woh din", "Jeena yahan marna yahan", and "Ae bhai zara dekh ke chalo". Arguably, the background musical scores of "Sangam" and "Mera Naam Joker" are considered to be among the best ever in the history of Hindi film music. Of the two, Shankar's speciality was dance-based compositions, whereas Jaikishan's forte was the background musical score. 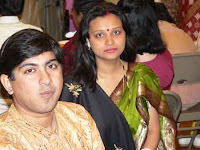 Both of them preferred Raaga Bhairavi over other strains of classical music. Shankar Jaikishan created few classical oriented tunes fit for the Golden voice of Mohammad Rafi. In the film “ Lal patthar”(1971), Shankar Jaikishan had composed for Rafi “ unke khayal aye to ate chaale gaye”in raag gara. There the nostalgic mood of badshah was presented by Rafi. Other quality creations of Shankar Jaikishan included “ Aji ruth kar ab kahan jaiyega” in raag desh in Aarzoo(1966) starring Rajenderkumar, “ Khudabhi asma se jab zamin par dekhta hoga” in the film ‘Dharti,” “mujhko apne gale lagalo ai mere humrahi”( Humrahi, 1962) “surahidar gardan koel sihi awaz”in the film “ Aman”. The lyrics were written by Hasrat Jaipuri (3). One of the other shades of the character of the Legendary duo was that they had encouraged a number of singers both male and female, at an era when the other Music Directors preferred only Rafi and Lata. They have composed songs for Subir Sen, “ Dil mera ek aas ka panchi” in the film Aas ka panchi,1960, Suman Kalyanpur , “Dil ek mandir hai,” in the film Dil Ek Mandir,1963, Manna Dey, “Yeh Raat Bheegi Bheegi” in the film Chori Chori,1956, Asha Bhosle, “Mur Murke na dekh Mur Mur ke” in the film Shri 420,1955, Sharda, “Titli Uri” in the film Suraj,1966, Mukesh, “Yeh mera diwanapan hai” in the film Yahudi,1958, Talat Mehmood, “Koi nahi mera is duniya mai” in the film Daag,1955, Kishore Kumar, “Zindagi ek safar hai suhana” in the film Andaz,1971. The songs were complimented with brilliant orchestration which had added lights to the composition of the giant. The other aspect of their creation include blending the Indian flavour with the foreign tunes wherever the films were picturised. Best examples can be the song “Sayonara sayonara” in the film “Love in Tokyo”, 1965, had Japanese orchestration, the other being “Raat ke humsafar” in the film “An Evening Paris”,1967, had French flavour. Besides their use of few instruments showed the class of their own, Accordion in “Sub kuch sikha Humne na siki hoshiari” in the film Anari,1959, Saxophone in “Ai sanam jis ne tujhe chand sa surat di hai” in the film Diwana, 1967, Synthesized Harmonium played by V. Balsara in “Awara Hoon” in the film Awara, 1951. One of the reasons why Shankar Jaikishan did not get the acknowledgement of providing immortal tunes in that era is because it could not be identified as which song is composed by Shankar and which song is composed by Jaikishan. Otherwise Naushad was awarded with Dada Saheb Phalke for his brilliant contribution to Indian music, Majrooh Sultanpuri also received the same award in the lyricist category, Shankar- Jaikishan was deprived of that honour. The other reason may be that they had worked with Raj Kapoor for the longest period and most of the credit of the unforgettable tunes were taken away by Raj Kapoor himself. An archive should be created for the rich and classical creations of Shankar Jaikishan where the works can be preserved for future generations to take inspiration from. My father Chitta Ranjan Chatterji, Ex chief Public Prosecutor, Bankshall Court,( CMM Court), Kolkata had solved a case relating to Music Rackett in HMV in the early 1980s. The Zonal manager of HMV, Mr. SriDaure gave him a present of HMV discs of film “diwana-composed by Shankar Jaikishan” and Disc of “ Pakiza- composed by Ghulam mohammad”. Mr. Sri Daure was involved with numerous immortal recordings of HMV and he mentioned that there was a song in Diwana, titled “ tumhare bhi jai jai, humare bhi jai jai, na tum hare, na hum hare”. The song was picturised with Raj kapoor staying in the railway station and Saira Banu travelling in a train. The song beat that was composed by Shankar-Jaikishan synchronised the actual sound of the movement of the train. It was only possible from Shankar-Jaikishan.It was reported in AnandaBazar Patrika, the Bengali Newspaper under the column of Ashis Ghosh.